hand-crafted, Hand-sewn with waxed thread and YKK zipper. 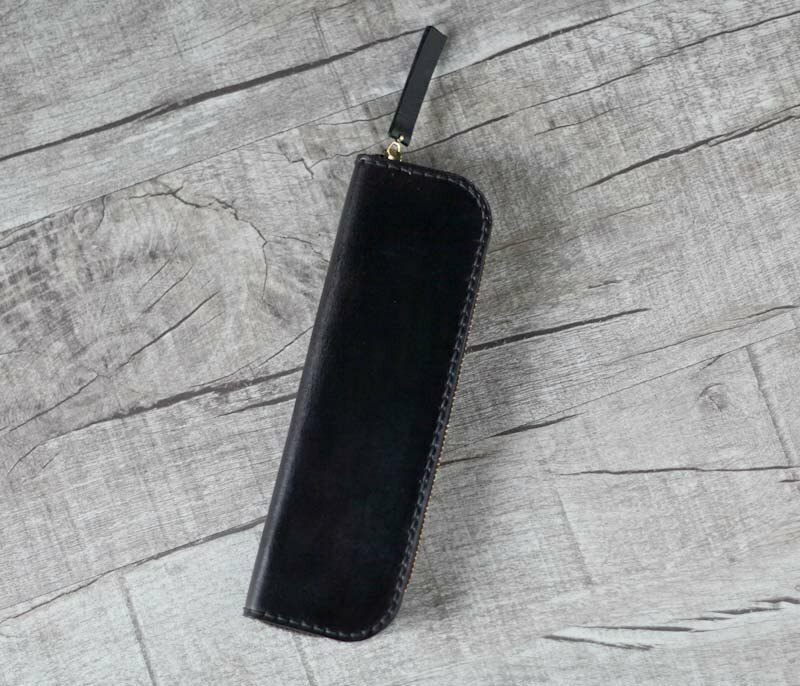 ● Made of premium quality 2.5mm thick vegetable leather. ● 100% hand-crafted, Hand-sewn with waxed thread and YKK zipper. ● Dimension: 20 x 6.8 x 2 cm ● Two colors available. ● YKK zipper is used to ensure it's smooth and durable. ● Free embossing service. Please see the below image for the sample. The letters should be less than 7 letters and will be all capitals. The font will be 3*3mm all capitals https://www.earthyleather.com/IMAGE/toPinkoi/2016FONT3.jpg All products are handmade in Taiwan, by our in-house designers.